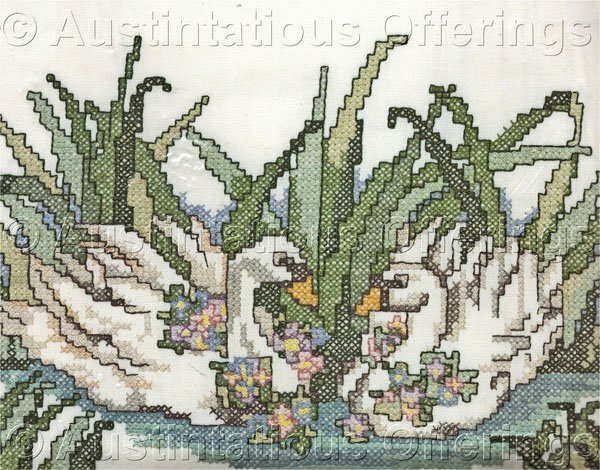 A pair of swans swim carefree in the bull-rushes. Perfect for the Beginner Cross Stitch enthusiast. Kit Contains: design printed on 50% cotton, 50% polyester fabric, 100% cotton floss, 8"x10" plastic frame, needle and easy to follow instructions. Proudly made in the U.S.A.